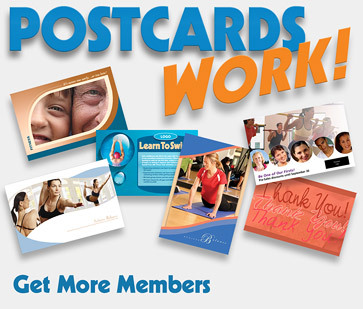 Whether you need a simple postcard or a complete marketing campaign, we can help you reach current and potential members. Select individual marketing pieces (postcards, emails, letters, banners, and more), or full campaign packages with targeted messages aimed at current members, cancelled or lapsed members, or potential new members. Choose from sample designs (see our Flash presentation), or we can create cards and campaigns specifically for your club. We offer design, print, mailing and emailing services.